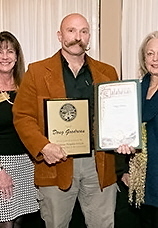 DOUG GOODREAU – Manager of and chief fossil preparator at the "Dino Lab" at the Natural History Museum of Los Angeles County, Doug Goodreau has been successful in a number of professions including make-up artist, sculptor and mortician – all of which contribute to his main passion, carving pumpkins. 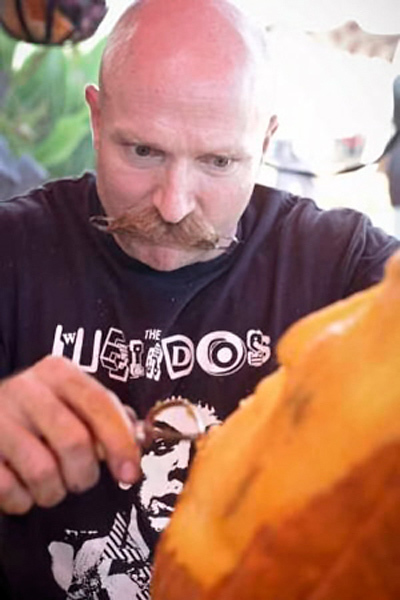 Doug has appeared on numerous (e.g., Disney Channel, Food Network) television shows demonstrating his specialized art. 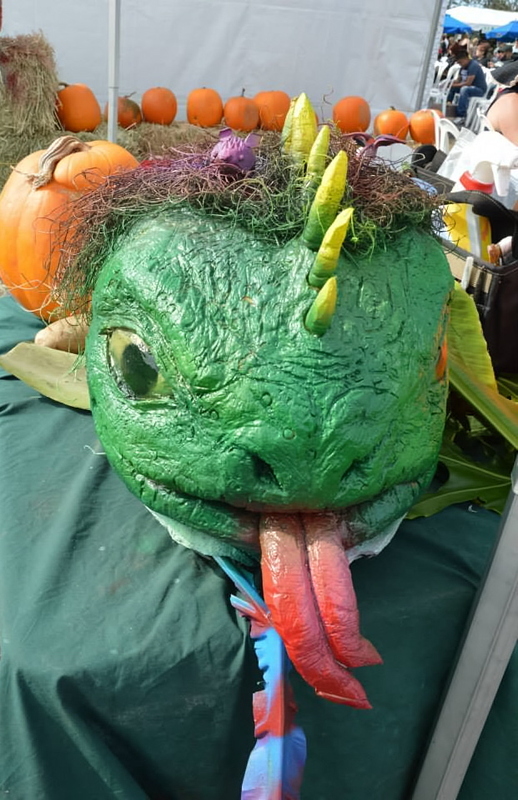 and his skills are in great demand for parties, shows and other events, especially during the Halloween season (his busiest time of the year). 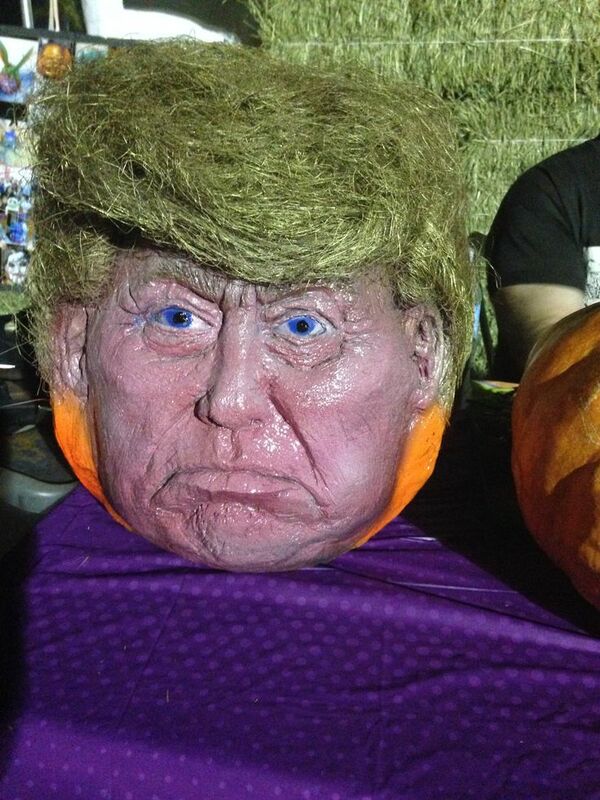 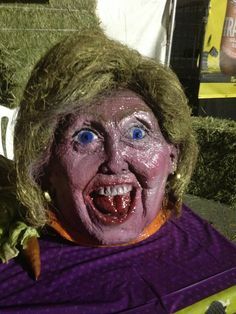 And he has won awards for his pumpkin carving. 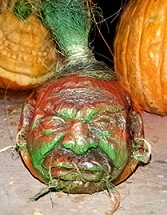 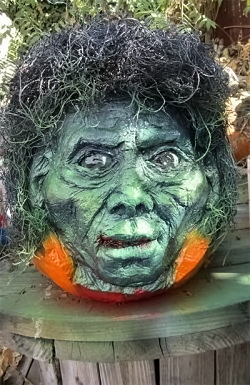 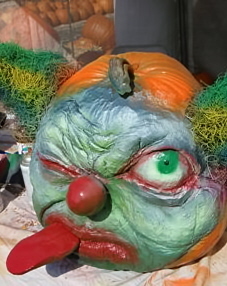 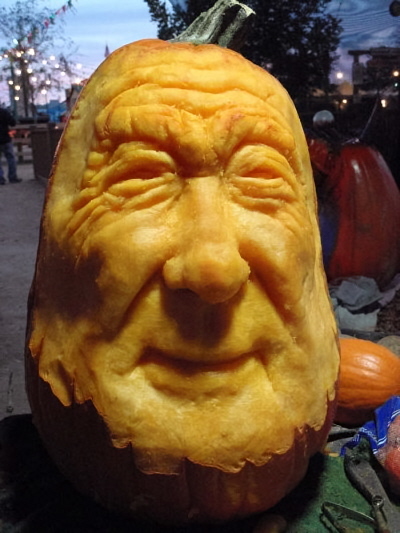 When it comes to carving deluxe pumpkins (which he calls "peculiar pumpkin portraits), we know of no one whose work even approaches Doug’s.